Zombie apocalypse games offer immense thrill and adventure. Most of them build on a background story that makes the experience of playing all the more enjoyable. Age of Z is no different. It throws you into a world where humanity is on the brink of doom. After a catastrophic zombie plague, your city is no longer safe. The walking dead rule the streets and have taken over entire blocks. Now, you must lead an uprising as a commander and recruit other soldiers to join in the fight. Play Age of Z for PC to reclaim your city and rid it of zombies. Age of Z treats players to a CMS (construction management simulation) and strategy-based warfare experience. Troops match to battle and fight hordes of zombies. They come armed with explosives, tanks, gunners and flame-throwing cannons. After rescuing blocks invaded by zombies, the process of rebuilding begins. You can build all manner of facilities on empty lots of land. A camp, training grounds and infantry will help you build and train a strong army. Your troops will also need food and energy to power their war vehicles. So, you can put up a farm, factory, oil refinery and garage. Other facilities include a main hall, command center, recon, depot, hospital, city walls and research lab. Between battle and fortifying your city, playing Age of Z for PC will keep you busy with a variety of activities. 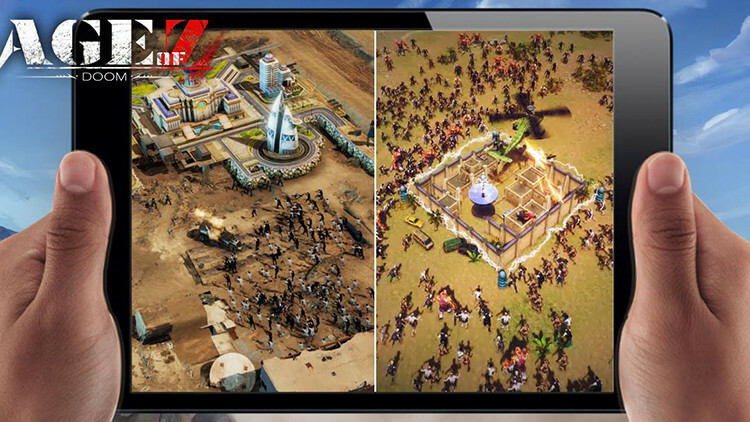 The development team, Camel Games, has tried to broaden the storyline by introducing real-time MMO gameplay in Age of Z. There are other threats besides zombies. Various human factions will wage war on each other, fighting for land and resources. Join an alliance to protect the territory you have worked so hard to reclaim. The alliance that dominates real-time battles will claim the capital and elect a president. Building is a key part of thriving in Age of Z. Whatever structures you build, keep upgrading them as well. The higher level your city, the greater it appears on the world map. Upgrades and building also earn you rewards. This may include crates of food and oil, battler power, commander XP points as well as speed up units. In Age of Z, building takes time. The good news is you don’t have to wait for the timers to countdown to zero. Move faster with building speed-up units. You can also spend gold bars to complete construction and upgrades faster. The game rewards you with 200 gold bars when you join an alliance for the first time. You can build an alliance flag as well to expand your territory and claim territory rewards. Allies can send each other reinforcement troops when in battle. The walking dead in Age of Z come in many forms. There are Death Mothers, Zombie Bears, and Mutant Zombies. You will need different troops and numbers to beat these monsters. Reclaim a camp to unlock more troop types. You can recruit officers for free a few times each day. Upgrading your dispatch center will allow you to add more armies to your rally. You earn rewards for completing quests. Unlike building prizes, quest rewards are not automated. Make sure to claim these rewards from the menus.